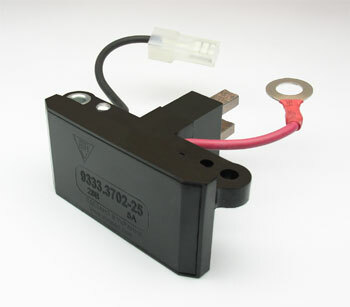 The multifunctional voltage regulator 9333.3702-25 version 12 is purposed for voltage maintenance of the onboard vehicle network in predetermined limits in all system operation modes of electrical equipment at change of the rotation frequency of the alternator rotor, electrical load and environment temperature. The differential characteristic of voltage regulator 9333.3702-25 version 12 is a built in interference-suppression capacitor. Applicability: automobiles MAZ with the engine JAMZ-7511 with alternator 4242.3771 and others. The voltage regulator 9333.3702-25 version 12 has a function of indication of the on-board network reduced/increased voltage and the alternator's low phase voltage. The indication is realized by glowing of the indicator lamp controlling the battery loading on the instrument cluster. The item ensures the fulfilment of a function of fading in current load. The regulator realizes also a function of protection against short-circuit in the output and indicator circuit. 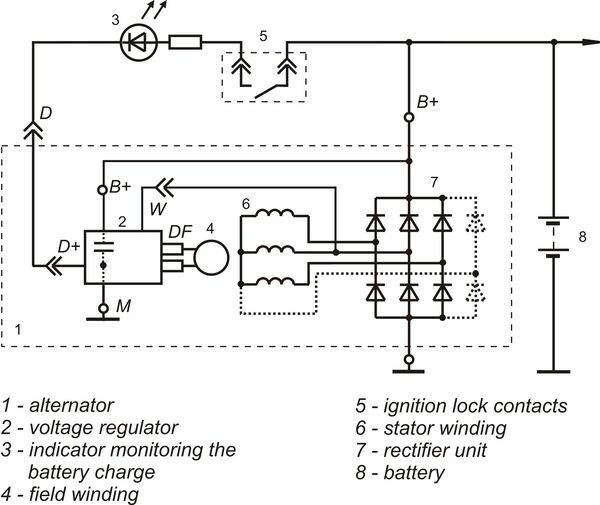 The voltage control and regulation are performed directly on the alternator’s output terminal - on this principle all power supply diagrams of modern foreign automobiles of high class are built. 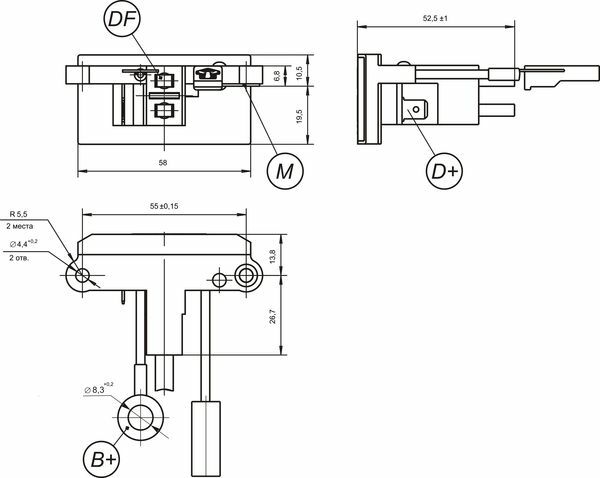 The regulator is produced in a single climatic design О2.1 in accordance with GOST 15150 for internal market and for export. On extent of protection against penetration of foreign bodies and water, the item meets design IP68 in accordance with GOST 14254. An operating mode of the regulator is S1 in accordance with GOST 3940. The regulator is mounted directly on the alternator where the setting of regulator 9333.3702-25 version 12 with the help of standard screws is stipulated. The warranty period of exploitation is 3 years from the date of commissioning or from the date of sale in retail commercial network. The warranty obligations of the manufacturer are valid during 4 years from the date of the item production. The date of production is marked on the case of the item.